Truck stoned during violent protests on Malibongwe drive - SABC News - Breaking news, special reports, world, business, sport coverage of all South African current events. Africa's news leader. 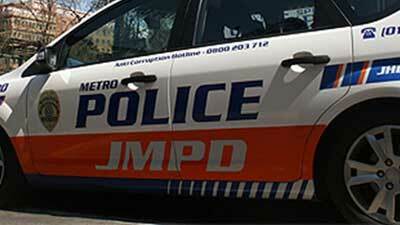 Johannesburg Metro Police Department (JMPD) officers and police have been deployed to the area to deal with protesters. A truck has been stoned on Malibongwe drive during violent protests by residents of an informal settlement in Kya Sands in Randburg, North of Johannesburg. It’s not yet clear what the protest is about. Motorists are being advised to avoid the area as the protest is continuing. This entry was posted on 08 Nov 2018,09:44AM at 9:44 AM and is filed under South Africa. You can follow any responses to this entry through the RSS 2.0 feed. Both comments and pings are currently closed.